Crispy Sushi Rolls With Sauce. 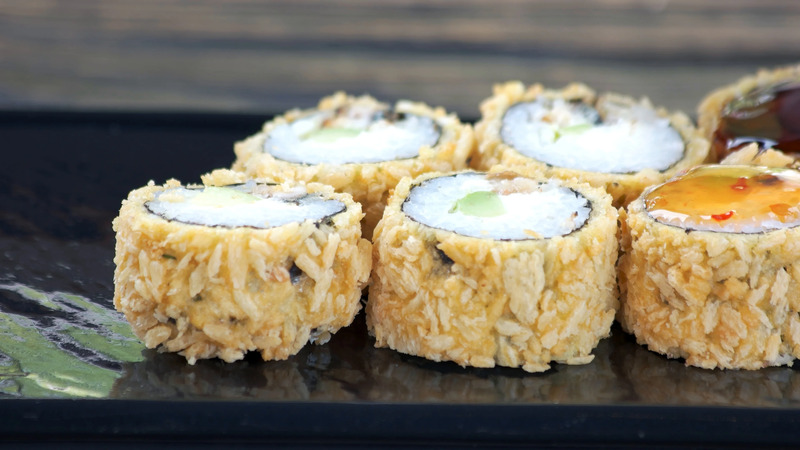 Description: Crispy sushi rolls with sauce. Asian food close up.